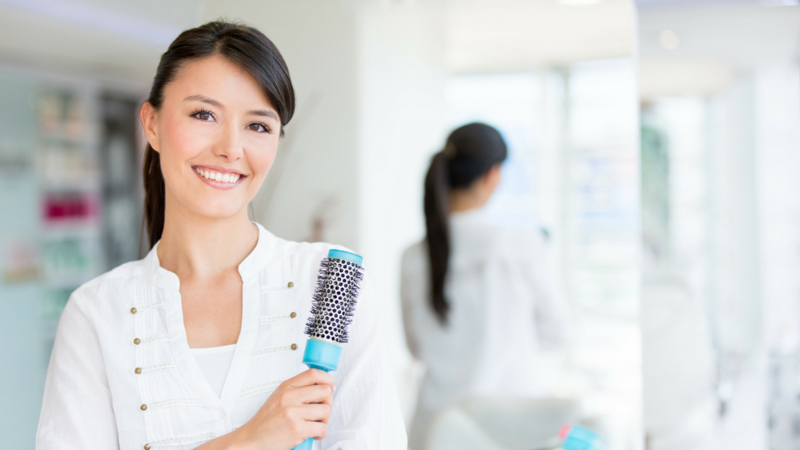 Do you need to find ways to generate more income in your salon? Is there room to add more stations? Do you have some empty space on your front counter, empty corner or wall you could display some quick sale boutique items? Could you squeeze in a manicurist? Do you have a storage room you could convert into a treatment room adding multiple service in your salon? Any small room you could convert to a spray tanning room? When I first opened my salon, It was a five station salon. To make more money to pay the bills, I quickly found a way to add 4 more stations and a manicurist to the salon. 2.5 years later the salon was full, with a waiting list of 4 stylists. This gave me the green light to negotiate a bigger building in my same shopping center. We signed a new lease for a building double the size we were in and we moved in it, 5 weeks later. My ex hubby was a builder so he built everything out. We became an 18 chair salon with one manicures and one Esthetician. A few years later the building next to us became available so we negotiated that leased and sign it. We took down a big portion of the connecting wall and just about doubled our square feet again, adding a full service Spa. So at the peak of ownership, I was a 20 chair salon, with a full service spa that included three manicure/pedicure stations. 6 treatment rooms a retreat area and shower locker room. After 14 years of successfully owning the Spa I sold it. I wanted to make things a bit easier on me so that I could move on into different areas in my career like writing and teaching. Something I added to the salon was a Boutique. I had boutique parties at the salon and I had traveling boutique parties. And I tell you this generated lots of extra cash! I've done custom airbrush spray tanning in the salon and in the Spa as well. When I sold the spa we became just a 20 chair salon with a boutique. That lasted about three years until I got bored and realized we needed to up our game and add different services to the salon so that we could get different type of customers. So with a bit of imagination and lightweight construction, I am now a 19 chair salon with a manicure table, Pedicure chair and one treatment room where we do waxing, facials, and Microblading. I have a small storage room that I am now converting to a Spray tanning room. I've gotten creative over the last 24 years to keep the salon in the game. I've remodeled more times then a few times. The salon never gets stale and we are always changing it up. Are there services you could add? Do you have some extra room to sell some purses or bracelets? Can you move some things around or eliminate furniture to add more stations? Being creative in these areas has been helpful in keeping my doors open. If you are interested in learning about adding boutique items to your salon or have a traveling boutique, Click the blue bar above that says, "want another revenue stream, check this out" I created a quick program showing you how to do it.